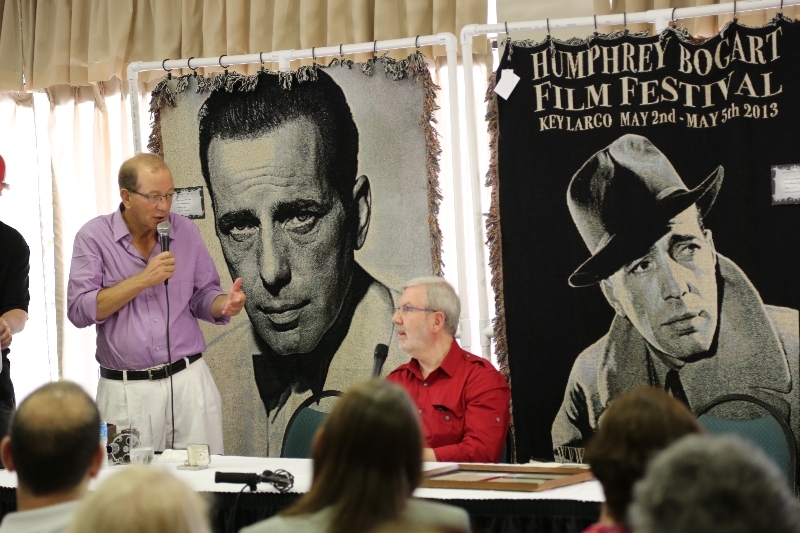 Started in 2013, the annual Humphrey Bogart Film Festival takes place on October 21-25,2015 in Key Largo,Florida. 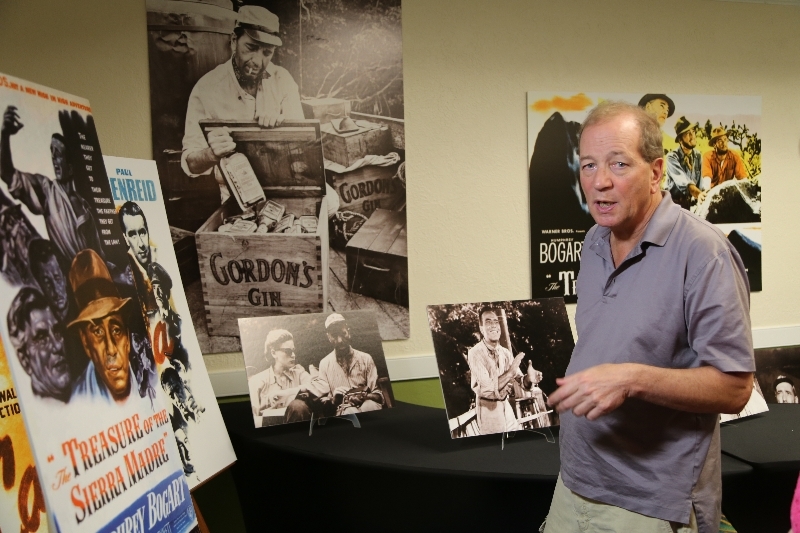 Humphrey Bogart’s son,Stephen plus Eddie Muller and Monika Henreid ( daughter of Paul Henreid) will be attending. 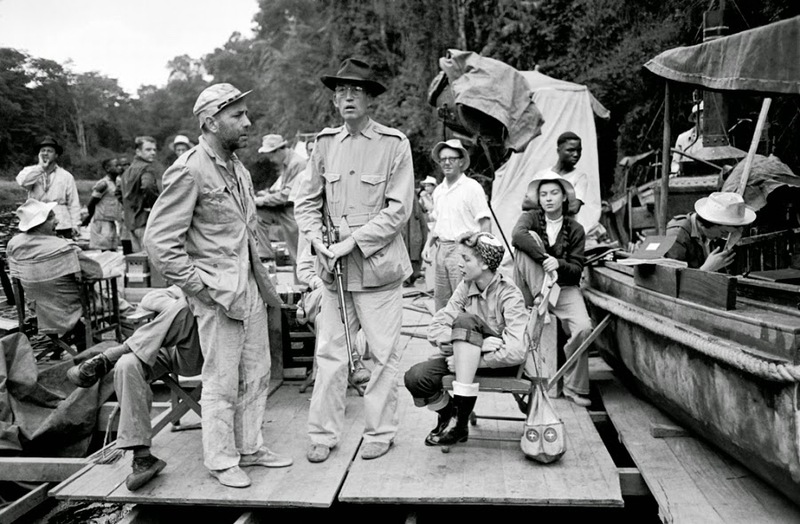 In various combinations of double bills, most of Bogie’s classic films will be shown – THE MALTESES FALCON,THE BIG SLEEP,HIGH SIERRA,DARK PASSAGE,THE PETRIFIED FOREST,TO HAVE AND HAVE NOT,CASABLANCA,SAHARA, THE CAINE MUTINY,SABRINA,IN A LONELY PLACE ,THE AFRICAN QUEEN – and of course KEY LARGO. 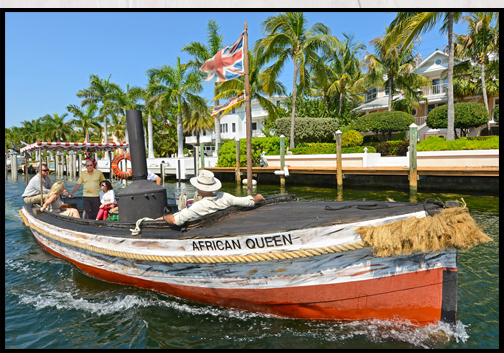 Also at Key Largo is the original historic steamboat, African Queen which is now a National Historic Site. 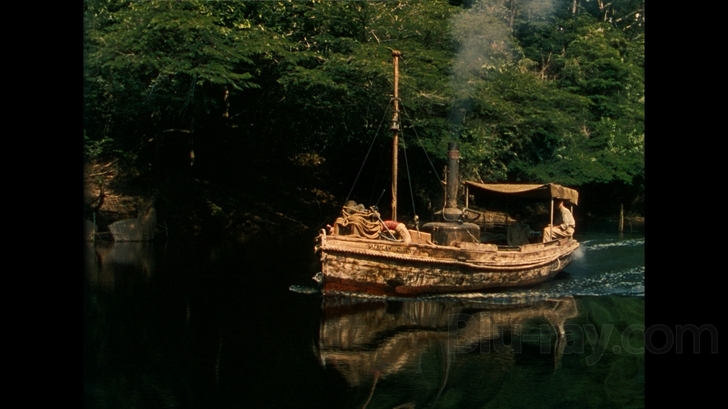 This little boat ( only 30 feet long) was built in the UK in 1912 for service in East Africa for the British Railways company. 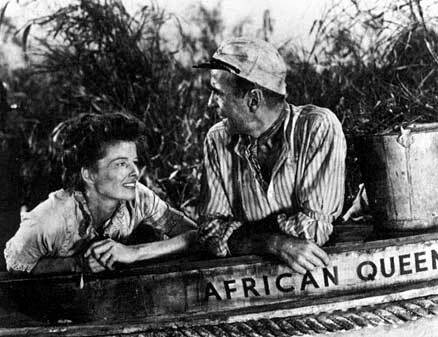 African Queen, with Stephen Bogart at the tiller . 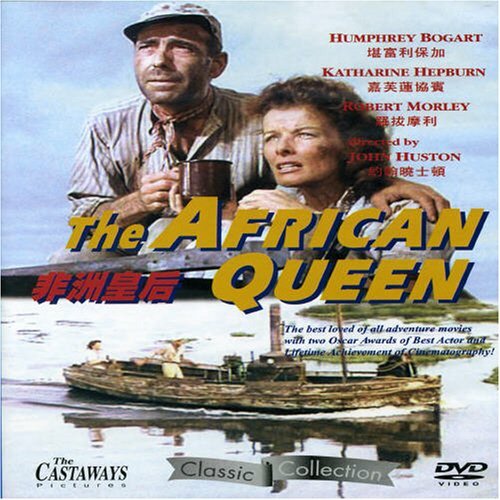 Used by John Huston in his film,The African Queen, by some miracle the boat has survived . 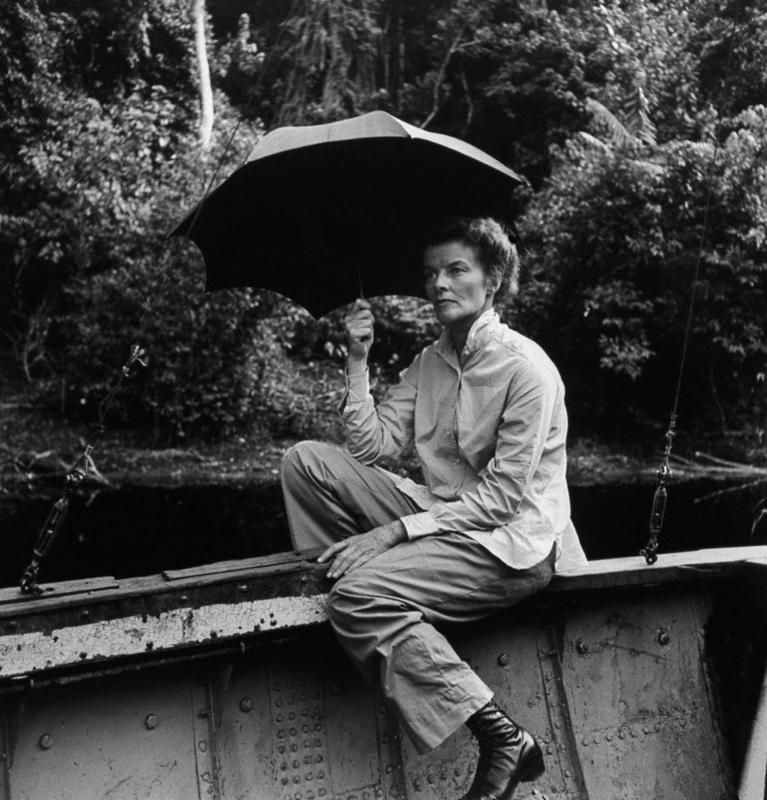 It was in service till 1968. and has been in Key Largo since 1982. 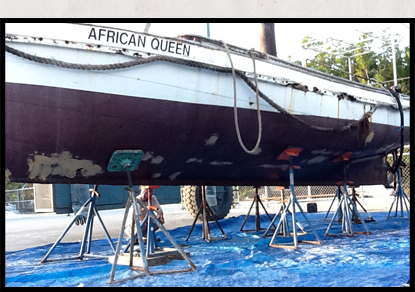 Restored in 2012 by charter boat captain,Lance Holmquist, the restoration took nearly 6 months. The boiler and steam engine had to be rebuilt. It is now available for cruises in the Port Largo canal area. 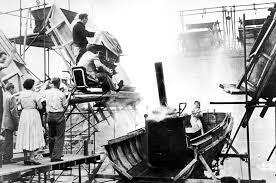 During the filming of The African Queen,because the boat was small and couldnt take cameras and equipment, portions of the boat were reproduced on a large raft.